‘Managing Catch Up®’ training videos now in Welsh! 12th April 2017 - ‘Managing Catch Up®’ training videos now in Welsh! We are pleased to announce that our new ‘Managing Catch Up®’ videos are now available in Welsh medium! These training videos are based on our 10-point Coordinator action plan and are designed to help you introduce and manage the interventions, with lots of useful advice on everything from communicating with parents about Catch Up®, to identifying learners, timetabling and reporting outcomes. The videos are particularly designed for the person responsible for managing Catch Up® in your school, but there is lots of useful advice for Catch Up® deliverers too, particularly within the ‘Preparing resources’ videos (Item 6). 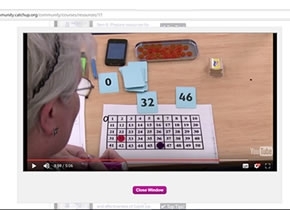 Even if you have been delivering Catch Up® for a long time, you might find something useful to help enhance your practice, particularly in the ‘supporting and monitoring Catch Up®’ videos – for example, see the videos for Item 9 and Item 10 to learn more about how to use our brand new Progress Reporting Tool! We hope you find these help with your work supporting struggling learners.